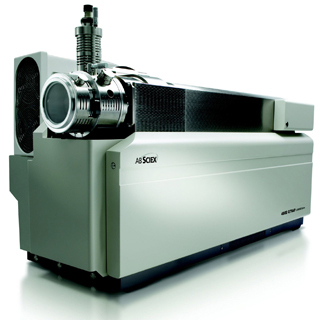 Available from KRSS a used fully refurbished and serviced AB-SCIEX API 4000 QTRAP AR-series triple quad - linear ion trap mass spectrometer manufactured. The rugged, robust 4000 QTRAP® LC/MS/MS System sets a new standard of dependability for the high-throughput laboratory. With a full complement of automation features, it fits seamlessly into your lab’s workflow and boosts your discovery productivity. A high performance ion trap and a high sensitivity triple quad, all in one system. The innovative AB-SCIEX 4000 QTRAP Linear Ion Trap (LIT) technology combines fast, sensitive qualitative analysis with proven, high-sensitivity quantitation of the industry standard triple quadrupole. With its outstanding quantitative sensitivity and qualitative performance, the new 4000 QTRAP LC/MS/MS System opens up a new class of application workflows for proteomics, drug discovery, and drug development. By combining true triple quadrupole scan modes with sensitive ion trap scans in a single LC/MS/MS run, you can achieve results that previously required multiple analyses on multiple MS platforms. In many cases, you can acquire data that is difficult to obtain by any other means.